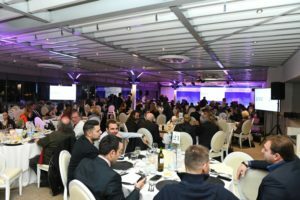 Athens, 01.04.2019 – With the participation of state representatives, members of international institutional bodies, high rank officials of the Parliament and the Healthcare Sector, the annual business dinner of the General Assembly Meeting of the Hellenic Association of Pharmaceutical Companies (SFEE) was held on the subject of “Medicine in the post memorandum era: focusing on the Patient and envisioning development” and with the Ambassador of Denmark in Greece, Mr. Klavs A. Holm on Thursday 28th March 2019 as the keynote speaker. 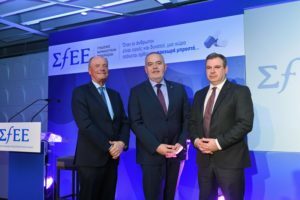 The event was also honored by another speaker, Mr. Nikolaos Vettas the General Manager of the Foundation for Economic and Industrial Research (IOBE). During the event, the crucial role and the contribution of the pharmaceutical sector were recognized for both the efficient operation of the Public Healthcare System and the seamless continuation of the necessary treatments for patients, as well as the entry of the economy in a new sustainable course of progress and growth. The speakers focused on the austerity in the healthcare sector which deteriorates the operating conditions and the prospects of the sector in our country. 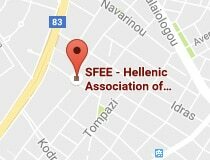 In his speech, the President of SFEE, Mr. Olympios Papadimitriou, raised the alarm about the condition of the healthcare system in our country and about the demographic problem. Mr. Papadimitriou noted that: “The period of the economic crisis left indelible marks on the healthcare sector. For example, the public per capita expenditure for medicinal products and other health-related consumables in Greece follows a downward spiral and is now below the European average and below the average of the countries in the South of Europe”. He continued to emphasize on the demographic problem which can be a major threat for the country saying: “The country is on a constant population decline as it has a negative birth/death rate balance, while at the same time the number of people over 65 years of age keeps rising mainly because of the high life expectancy, even though life expectancy is not rising any more. It is estimated that the percentage of people over 65 will be 22.6% in 2020, while the EU average will be 20.4%. This leads to an index of population dependency of 53%, which means that for every 2 active people there is one inactive person. At the same time, deaths from metabolic diseases, such as diabetes and circulatory disorders (38%), as well as from different types of cancer (25%) keep increasing. It’s worth questioning how all these can be treated without the use of medicinal products. Therefore, are we going to increase the public pharmaceutical expenditure? 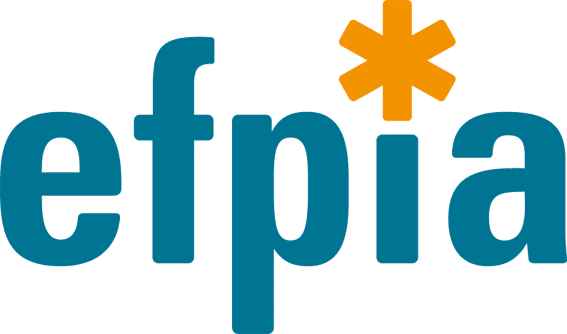 The President of SFEE then referred extensively to the big problem of excessive charges for pharmaceutical companies, noting that: “The lack of predictability and stability, the excessive direct and indirect charges and the uncontrollable clawback threaten directly the sustainability of the companies within the industry and the patients’ access to both new and existing therapies. Only in obligatory clawback και rebate the industry will have to return more than €1.4 billion for 2018 (in comparison to €1.2 billion returned in 2017). These charges are unbearable as they are 4 times higher than the European average and it is the highest percentage among other sectors in the Greek economy. Our sector is a key pillar of funding the public health system and has already paid to the state € 5.3 billion in the years 2012-2018! However, in order to survive and maximize its contribution in the economy there must be predictability and immediate implementation of the legislated reforms. Finally, it is of utmost importance that coresponsibility between the State and the Pharmaceutical companies is established concerning the covering of the excess in pharmaceutical expenditure. As long as these requirements are covered and growth incentives are provided, Greece will become more competitive and this rapidly developing sector will unfold its vast potential with immediate positive effects on employment and investments”. Mr. Holm stressed that “Together we should find a solution regarding the supplementary rebate – the claw-back – that is claimed from pharmaceutical companies every year. The Greek health authorities, the pharma companies and authorities in other countries should cooperate with a view to share best practices and procedures. In this way, we can create an environment where the Greek patients get the best medicine to affordable prices and where pharmaceutical companies can thrive. I will personally work very hard and do all I can to make this happen”. Mr. Nikolaos Vettas the Head of IOBE spoke about the trends and prospects of the Greek Economy which also depends on the pharmaceutical sector. The economy found its balance through three consecutive memorandum programs, and even though a complete collapse was averted, the potential for growth remains weak, while the chance for profound reforms was lost. 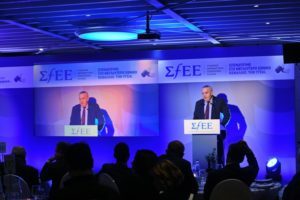 The Greek economy is still introspective, overregulated by the state and weakly interconnected with the international economic and technological trends. Concerning the access of citizens to the healthcare services Mr. Vettas mentioned that there was a strong negative impact both on patients and the pharmaceutical businesses. Closing his speech, Mr. Vettas said that an essential lever for growth in the pharmaceutical industry may be the support of clinical studies which can have immediate benefits on the GDP and the employment.